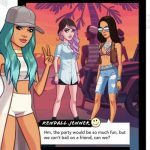 Mobile gaming giant Glu has a host of celebrity-themed and endorsed games, including those featuring Kim Kardashian, Nicki Minaj, and Jason Statham. The newest of these titles is Katy Perry Pop, a recently-released Android and iOS game where you play the role of an aspiring musician who gets discovered by Katy Perry herself, as you “chart your course to music stardom” by releasing your own songs and videos and performing your music in front of audiences around the world. 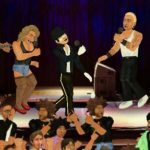 You can customize your pop star’s appearance with a variety of outfits, develop and record your own music and music videos, and even play with friends on Google Play and Game Center as you help one another grow as artists. 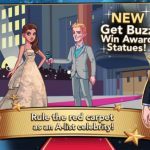 Contrary to what one may think, it takes a lot of hard work to become a successful pop star like this game’s celebrity endorser. 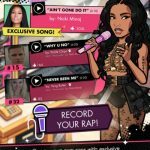 Now, in this in-game world we can help make your road to pop stardom easier, as we’ve now got a complete list of Katy Perry Pop tips, tricks and strategies for all players. You can’t expect to be somebody in the world of music if you just sit on your behind and mind your own business. You have to go out there and talk to people as you walk the streets in this game. Yes, a lot of the people you’ll meet will act as if you’re a nobody and wouldn’t want to be your friend just yet, but you can always start out small and really start talking to people and networking once you’ve got a little popularity on you. We’d also recommend using some of your premium currency to charm them into friendship, though it’s also just as wise to save this currency for other, more essential purchases. It applies in RPGs, and it also applies in Katy Perry Pop. By tapping on your smartphone and checking the To Do list, you’ll see a list of quests, or things to do or to achieve in order to keep your character on the right path in the main story. Completing quests will earn you some goodies, such as new outfits, additional cash and energy, and more. These quests will also allow you level up and become a more skillful performer. Many of the quests in this game will require you to use some energy, which puts additional pressure on you as you’ll have to deal with completing the quest under time pressure and with limited energy. These quests may include recording songs or videos or performing concerts, and when taking them on, you’ll want to do these quests one at a time and only take on another such quest when you’ve completed your current one. Having full energy increases your chances of having the best results, so don’t over-exert yourself. Speaking of energy, it is very important in this game to manage how you use it. When starting the aforementioned energy-intensive quests, you should make sure your energy bar is filled up, and also make sure that you’ve added some equipment, or maybe enlisted some of your friends to serve as backing band members. And while this may be confusing for newer players, you’ll also want to do a bit of experimentation, as you take mental notes of how certain actions impact your energy meter. Strangely enough, 4 energy actions are better than 5 energy actions, while 1 energy actions aren’t as good for your meter as 2 energy actions. It’s a bit of a weird dynamic, but it is what it is. Like in the real world, you cannot record a video unless you’ve first recorded the song. And you can’t record a video either if the song isn’t a hit – nobody’s going to care for a video for a song that flopped on the singles charts, after all. But how do you ensure that the songs you perform and produce are chart-worthy, and subsequently video-worthy material? You can produce better songs with more experience, and you can do just that by completing quests and working on songs. The light bulb icon on the right side of your screen measures your inspiration, so do what you could to fill it up. And you’ll also want to have some skillful band members and give them high-quality instruments. In other words, it’s all about experience, inspiration, and a skilled backing band with top-rate equipment; have all these things in place and you’ll have a much better chance of having a five-star song that could potentially do well on the charts and justify recording a video for it. As this is a very new game, we’re not quite sure how certain clothing items impact how your character makes an impression with NPCs and the like. But we do know that it’s an important thing to have as many clothing items as possible, including costumes, which could be of help when you’re recording songs. Wear what you want and again, don’t be afraid to experiment and take mental notes of what works and what doesn’t work. The so-called “Katy Vision” feature allows you to use Katy Perry’s glasses, which you can do by tapping on the glasses icon in the lower left-hand side of you screen. The best time to make use of this feature is when you’re completing missions, as some of them would require that you’ve got Katy Vision on in order to complete. Just to remind you once again, Katy Perry Pop is a new game, and some of the promised features aren’t available as of the moment. But in future updates, you’ll be able to date other people in the game, so we’re guessing the mechanic would be similar to other celebrity-themed games – focus on what the other person likes when having a conversation with them or when taking them to places for your date.